long time. It's the perfect opener as it contains all the elements that make the album such a joy and the closing laughter sums things up. It's followed by the title track, an affecting ballad with touches of accordian and spot-on harmonies from Lee Cave-Berry (Mrs Rew) who also plays exemplary bass throughout. 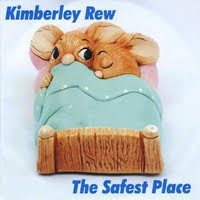 Next up is Put A Little Sunshine which sounds like a potential summer anthem, maybe not on the scale of Walking On Sunshine perhaps but it proves Kimberley still has the enviable knack of knocking off instant pop gems which cry out to be heard coming out of the radio on a hot summer's day.